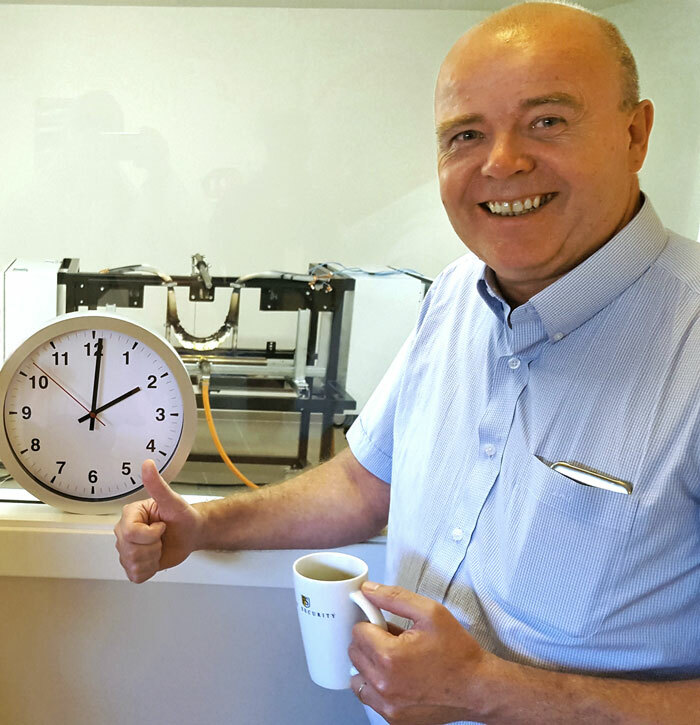 FS president Leif Harald Tveitnes at our in-house cable fire test station. Fire Security presents cable repair and fire protection projects around the world, October-December 2018. Welcome to Fire Security’s quarterly newsletter. The last quarter of 2018 was positively affected by good projects underway on Cruise ships and completed projects in Brazil, USA, China and Middle East. We also have several projects under planning in Australia. Very importantly, we had no lost time incident recorded in 2018, this is thanks to our dedicated people with long term focus on safety. Fire Security conducts cable surveys, fire protection and cable repair worldwide in many industries, whether on oil-rigs, LNG tankers, petrochemical refineries, cement factories, power plants and more. For updated information and news, we invite you to follow us on Facebook and connect with us on Linkedin. 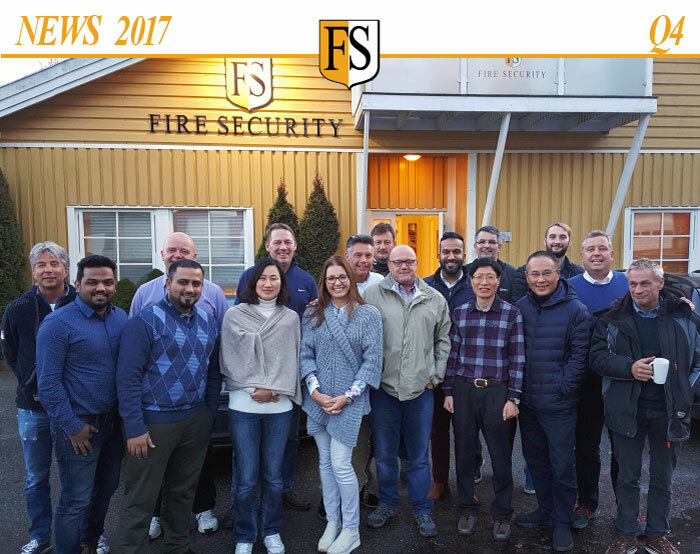 With kind regards from Mr. Leif Harald Tveitnes, President of Fire Security. Visit to Brunei Gas Carriers and Brunei LNG with PTT Engineering. 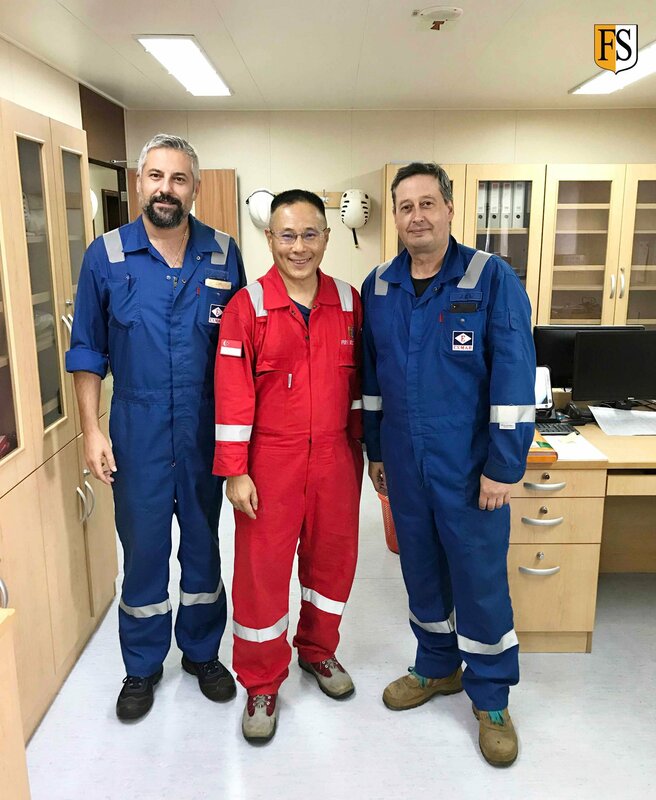 October 26 – This week we have visited Brunei Gas Carriers and Brunei LNG. The global LNG market is growing and Brunei plays an essential part in the east Asian market. Life extension of their assets to ensure safe operation, steady production and supply is important and FS provides a very cost efficient solution for cable protection. Here together with our local agent in Brunei, PTT Engineering. Business development meeting in Australia with ICS -International Corrosion Services. 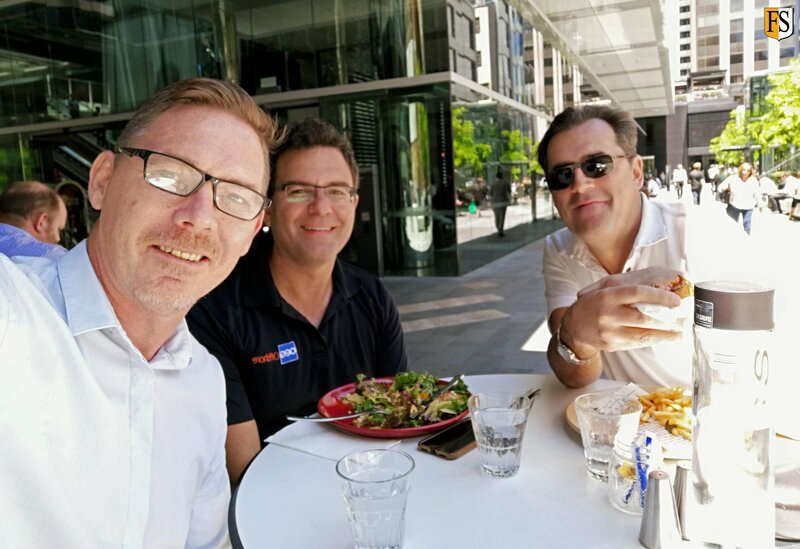 December 2 – Summer has arrived in Perth so better have our business development meeting outdoor. From left: Paal Mathisen with Patrick Hanna and Rolf Nygaard from our local representative ICS, international Corrosion Services. 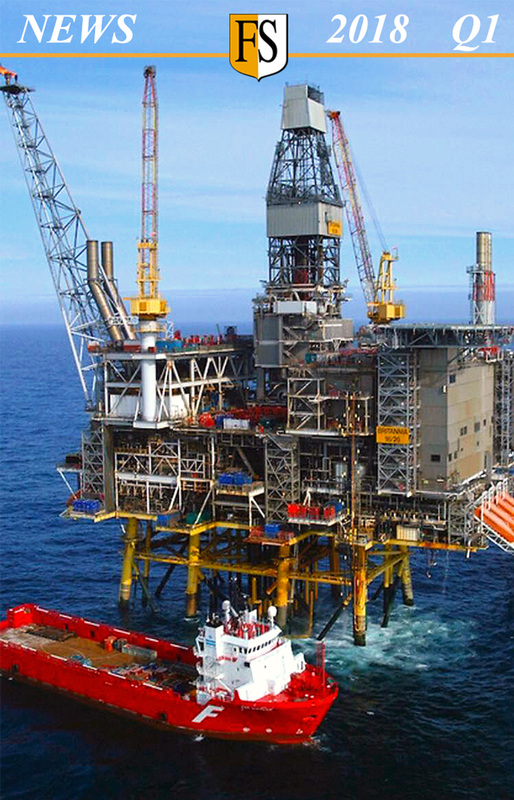 Fire Security contributes to oil rig safety. December 10 – Fire Security Middle East. 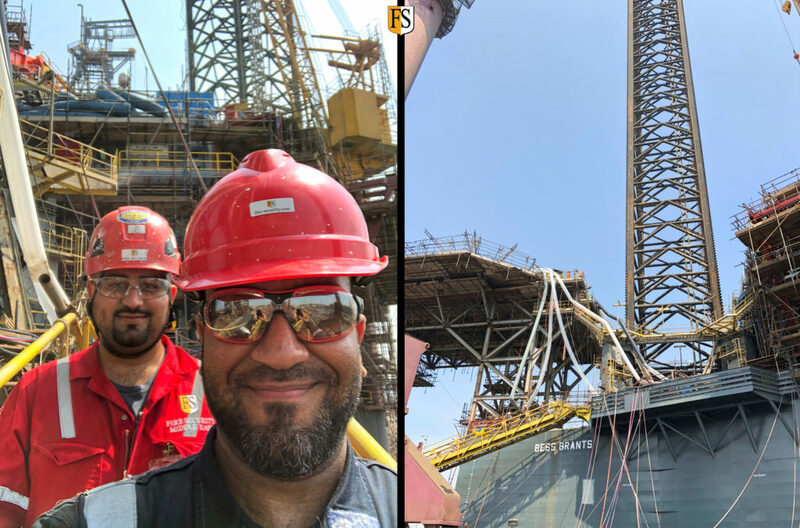 Mohamed Alawi and Khurram Tahir conducting survey on board Rowan Rig in Bahrain shipyard. Naval Damage Control conference in Portsmouth. October 12 – Michael Mayfield and Leif Harald Tveitnes from Fire Security in discussion with Navy representatives. 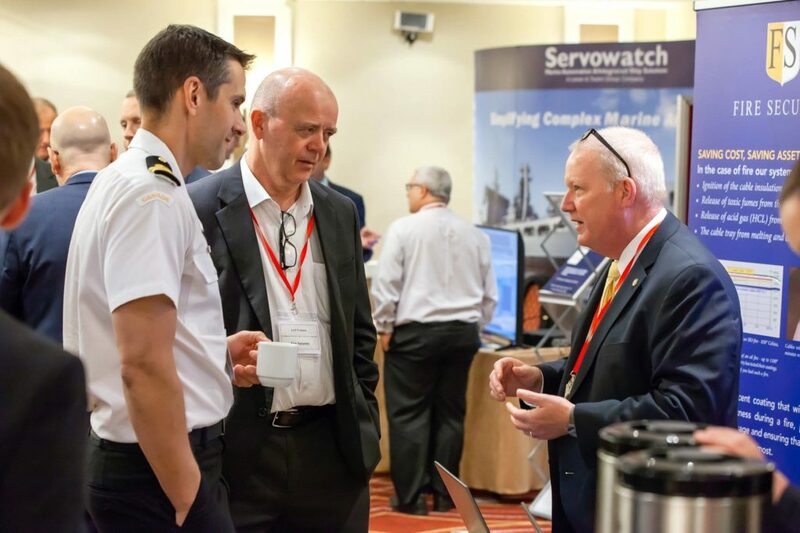 This years conference includes a pre-conference fire focus day investigating the unique challenges of maritime firefighting and how new technology can enhance training and safety at sea. Fire protection of industrial cables in USA. October 4 – Fire Security’s team at work at client’s industrial site in USA. Piotr Kanczkowski and Svein Tveitnes. 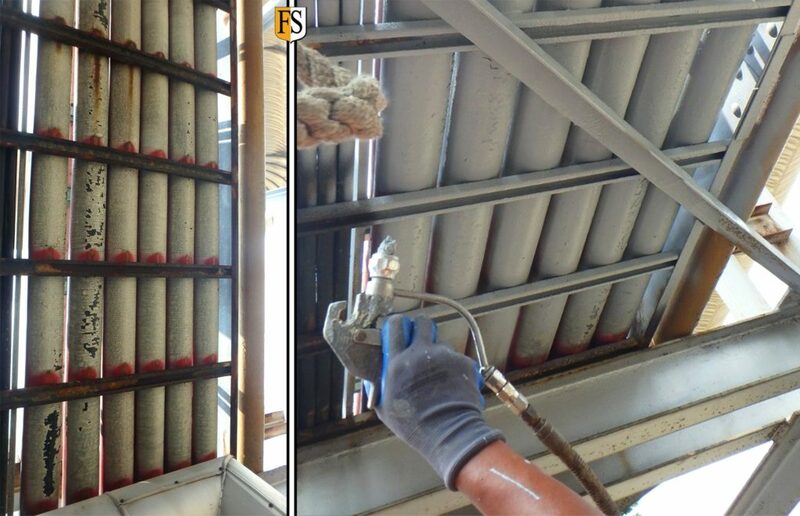 Fireproofing of cables on reconstructed cruise ship. 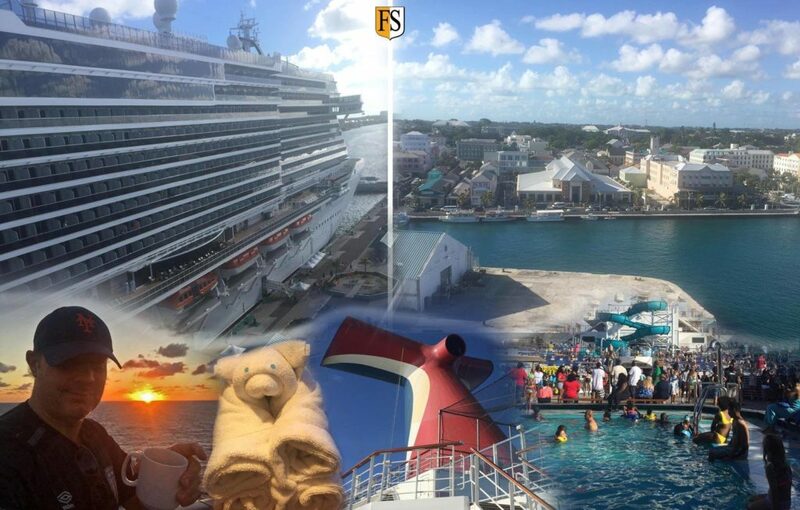 October 22 – We completed a cable protection project on board Carnival Liberty from Port Canaveral to Nassau Bahamas. The cruise ship has been reconstructed so our priority was to coat the new cables on the machinery deck. Supervisor Johnny Ryen. Here is our new brochure for protecting cables on cruise ships and passenger ferries. Completing our 15th year at Fire Security Middle East with style. Jesper Rexen, Managing Partner, FS Middle-East. We also experience an increased awareness on fire safety at industrial plants and our cable coating system is often the preferred solution to the demand for insurance driven fire protection. Protecting critical cables against high ambient temperatures at Emirates Global Aluminium. 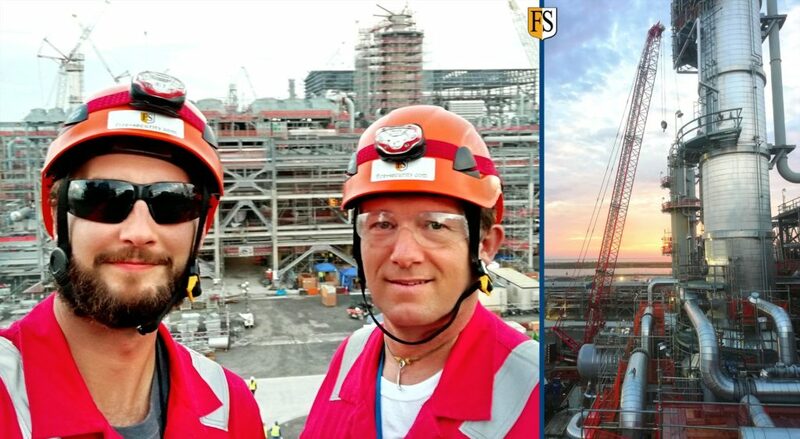 At Siemens 400 kV Power Plant in Bahrain we conducted the first 400 kV applications in Fire Security’s history. 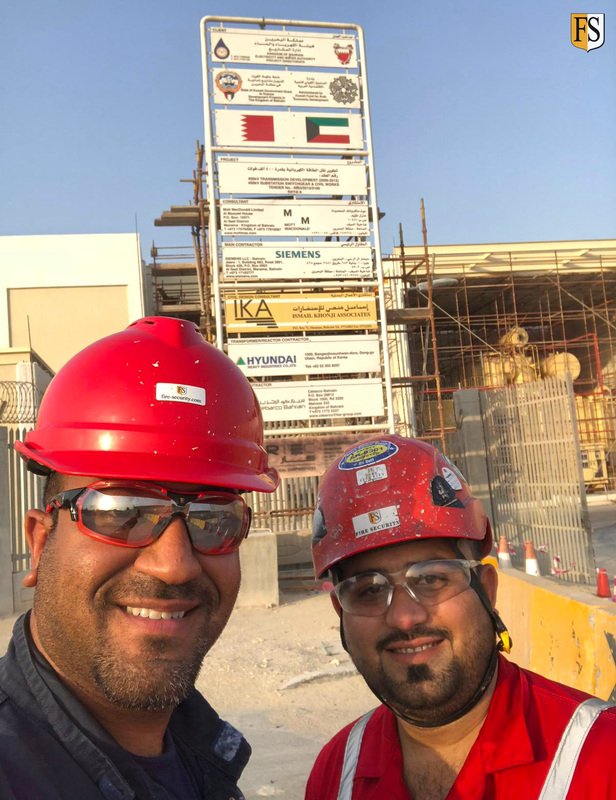 At Bahrain Steel, we are completing 3 major substation basements providing insurance driven fire protection and we have replaced all the old penetrations with FS 21 panels and FS23 sealants being our second larger scope for penetrations in Bahrain. 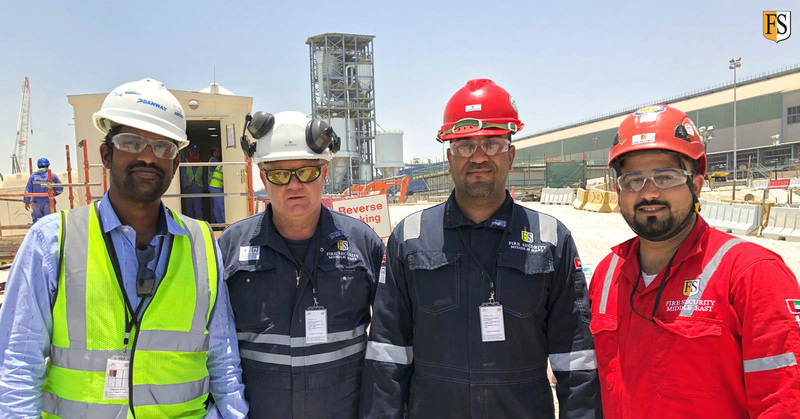 At Alba Bahrain Aluminium new Line 6 project, we are delivering FS5 FM Global required fire protection and are also completing 1696 x 100 mm conduits and 848 x 50 mm conduits utilizing our FS20 Mortar and 48 wall openings utilizing FS21 panel and FS23 sealant. Fire Security Middle East are proud to contribute to the fire safety for our clients, saving assets – saving cost – saving lives. We offer on-site cable surveys with no commitment for the clients. December 1 – Fire Security Middle-East recently had a Site Survey Potline 6 with Danway in Alba Bahrain. 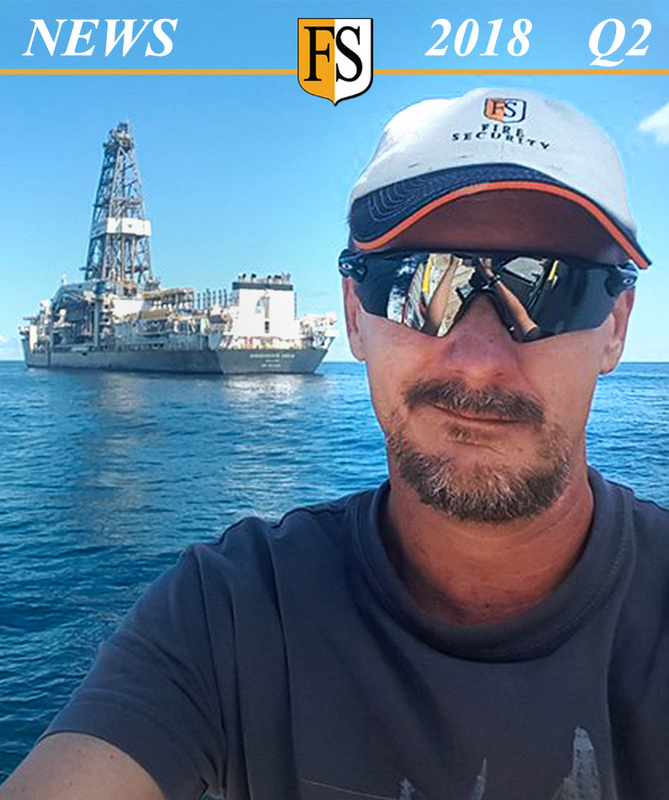 December 17 – Fire Security is offshore Marjan, conducting two back to back surveys for Shelf Drilling. Protecting electrical cables on LNG vessels and plants. The Global LNG market is growing rapidly and the same goes for the fleet of LNG carriers. Fire Security Middle East has protected more than 20 LNG carriers since 2015. 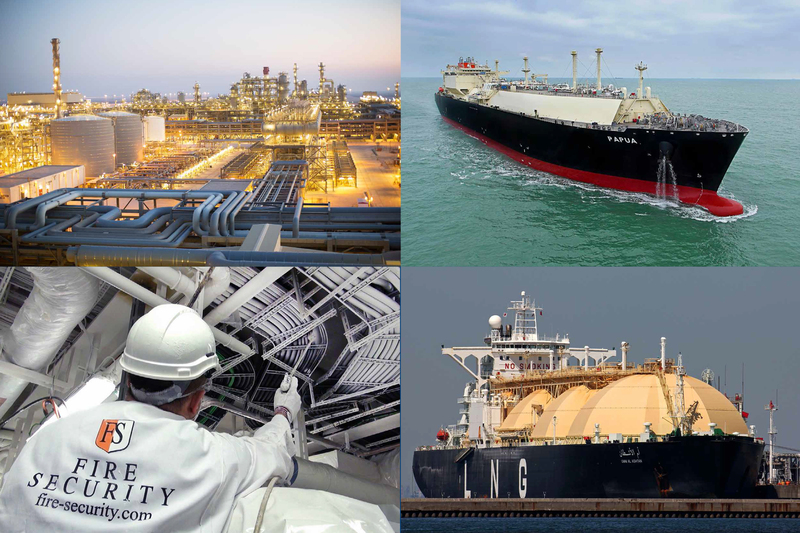 Read more in our new LNG brochure. We provide recommendations for protecting cables exposed to high temperatures in steel plants. December 27 – In Heavy Industries, molten metal in steel plants will go up to very high temperatures exceeding 900 degrees Celsius. High ambient heat as well as direct exposure in the production line poses a major operational risk to your cables. Fire Security surveys your steel plants and provides the best recommendations for protecting your cables and upgrading them to the highest levels of fire and safety. Regards from Mohamed Alawi (right), Business Development Manager for Fire Security Middle East. 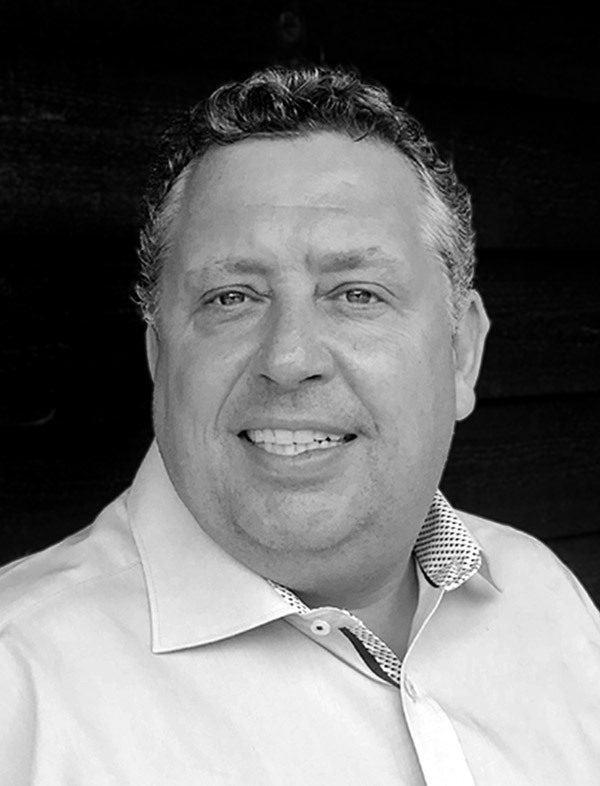 FS appoints Operation Manager for Asia-Pacific. 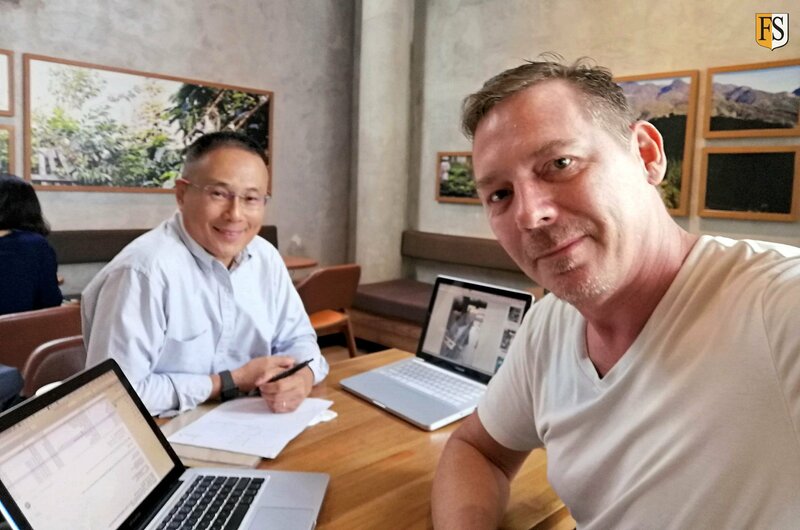 October 3 – Paal Mathisen reporting from our ASIA-PACIFIC office in Jakarta, Indonesia: Today I had a rare opportunity to meet with our newly appointed Operation Manager Steven Chong due to our busy travel schedules. Discussing and planning execution of upcoming parallel running projects in China, Malaysia and Indonesia. FS Middle East gets the job done – every time. December 7 – Another successful job completed for MARAFIQ Water Desalination plant in Saudi Arabia. 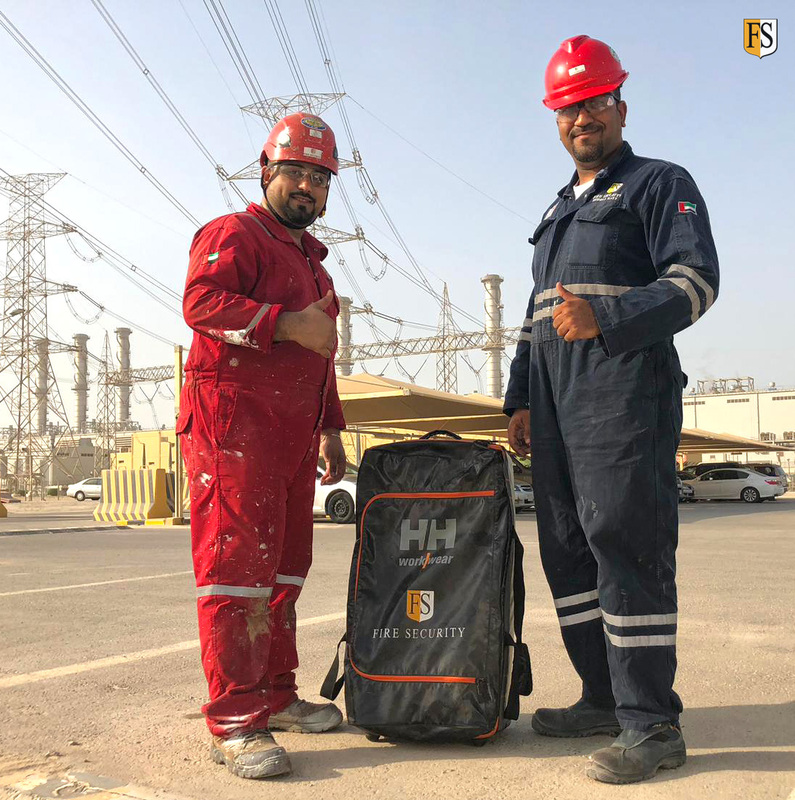 December 19 – Mohamed Alawi and Khurram Tahir conducting survey of 400 kV substations at Siemens Power Plant in Bahrain. This is the first 400 kV applications in Fire Security history and we received the approval in November 2018. Exciting projects and prospects in Asia and Australia. We experience very interesting times in Asia Pacific with many completed projects and ongoing project planning in Australia, Indonesia, Malaysia, Brunei, China and Korea. 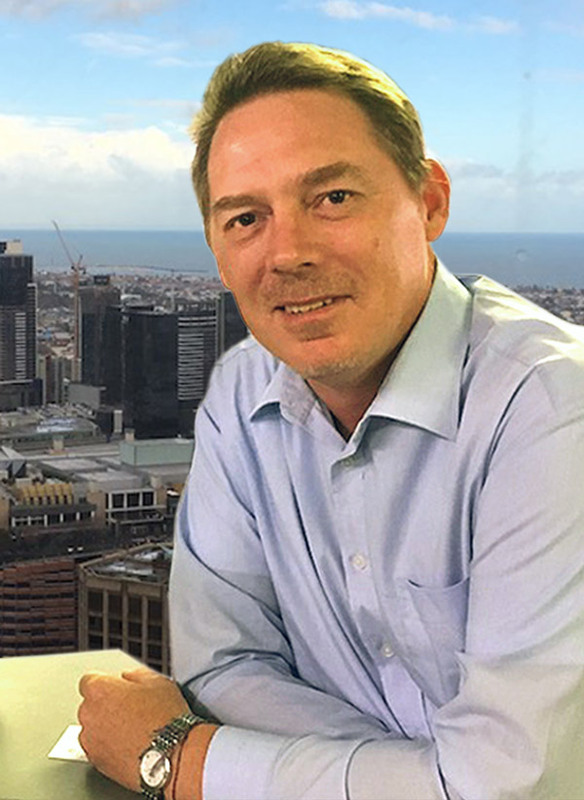 At Fire Security we are especially excited about Australia’s oil & gas sector which we have visited frequently the last two years and are now starting to show good results. We see that our solutions for life extension of electrical cables are getting more and more attention from our clients and their feedback gives us the motivation to keep on developing and improving our solutions. Life extension of electrical cables both offshore and onshore in Western Australia. 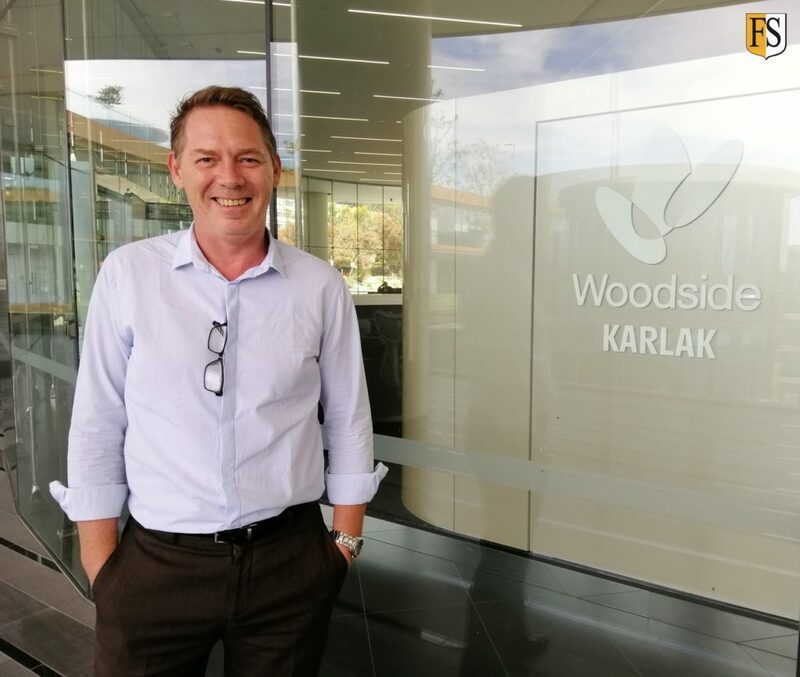 November 15 – Woodside Energy is the major oil & gas operator in Australia and Fire Security is talking with them regarding life extension of electrical cables for their offshore and onshore assets in Western Australia. Paal Mathisen is our manager for the Asia-Pacific region. FS presents cable protection and risk reduction at Power Generation Technology Forum in Australia. 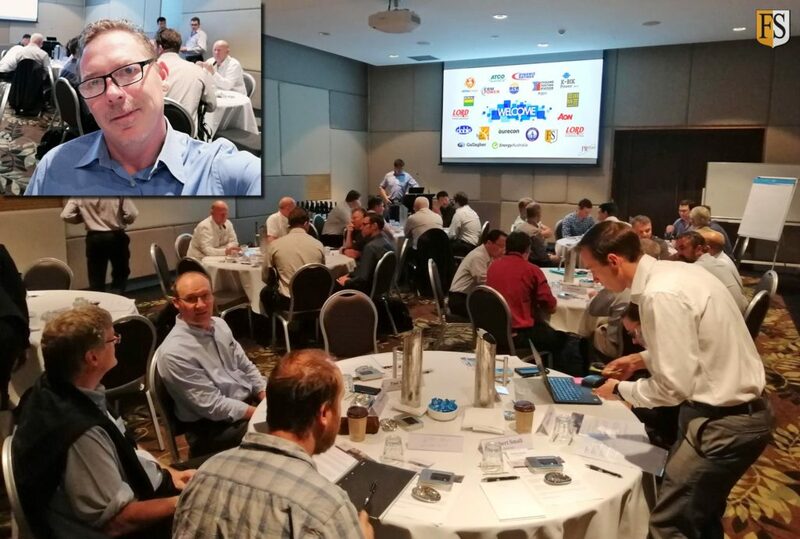 October 25 – Last week we were invited by FM Global to present our solutions for cable protection and risk reduction to FM Global’s clients in Australia at their Power Generation Technology Forum in beautiful Kingscliff, Queensland. Leif Harald Tveitnes and Paal Mathisen attended. Cable survey on LNG vessel in China. 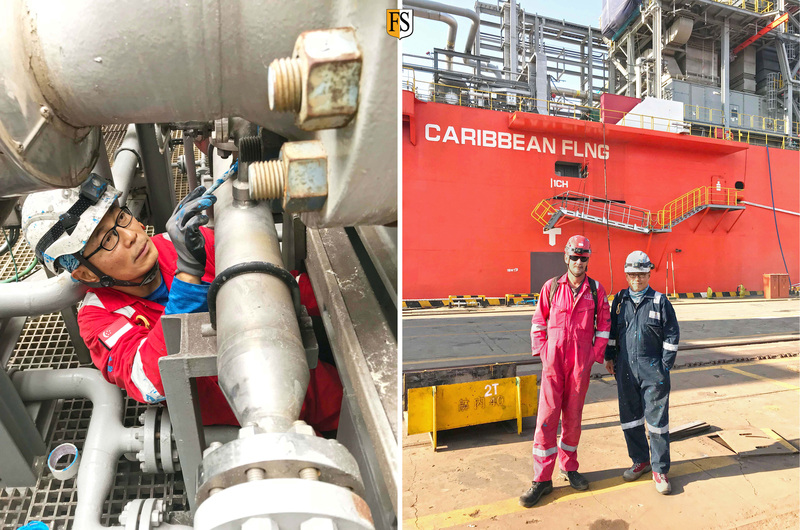 October 2 – Completed survey on UV exposure and damage to outer sheath of instrumentation cables on a non-propelled floating LNG vessel in Shanghai. Photo from left: Capt. Ante, Steven Chong, FS project supervisor and Mr. Josu, Maintenance Supervisor. Cable life extension and fire protection for oil&gas industry in Indonesia. November 16 – Ongoing cable life extension work for the oil & gas industry in Indonesia. We offer cable repair, cable lifetime extension and fire protection in one turnkey solution. Sungshin Cement in South Korea to use our cable repair and life extension solution on substation. November 22 – Fire Security Asia Pacific is again proud to announce that our new client, Sungshin Cement has converted to use our innovative cable repair and life extension of electrical cables on one of their main substation and dosing machine area. 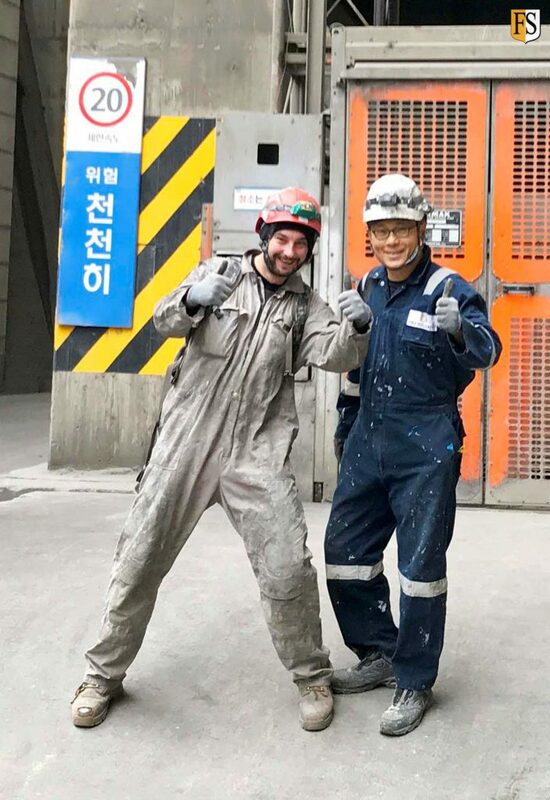 Piotr Kanczkowski (L), our Polish Specialist Applicator and Steven Chong (R) Operation Manager share a light moment after project close-out. Cable survey for Petronas in Malaysia. December 12 – Maybe not as famous as his name brother this Platini, but probably just as important for his team. Great meeting today to plan our survey for Petronas, Bintulu Crude Oil Terminal. Repairing cracks on electrical and instrumental cables onboard Caribbean FLNG in China. 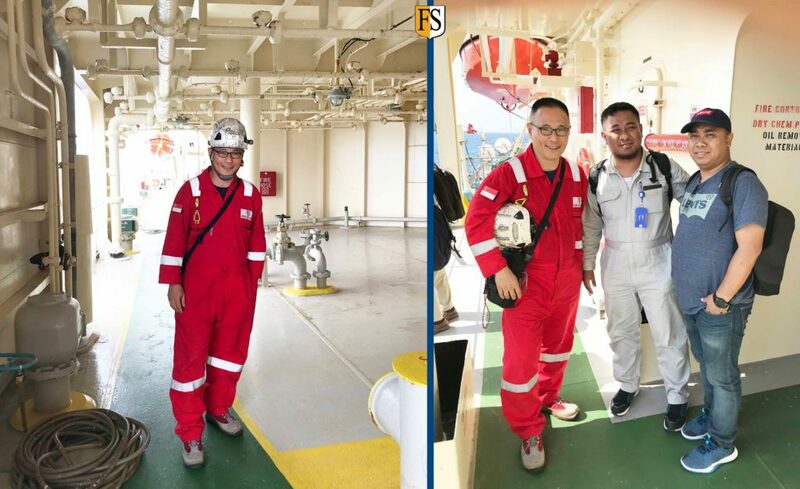 November 30 – Shanghai, China: Another successful UV protection and crack repair of electrical and instrumental cables onboard Caribbean FLNG. 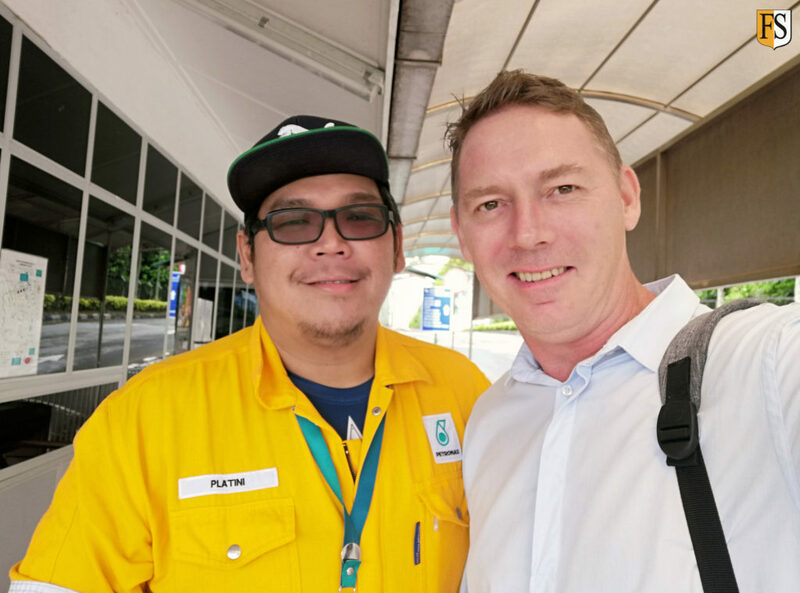 The project was led by Paul Filby, Project Manager of Fire Security AS, application was done by Steven Chong, our Asia-Pacific Operation Manager. More stories in our blog. The 4th cable repair project at Hanil Cement. 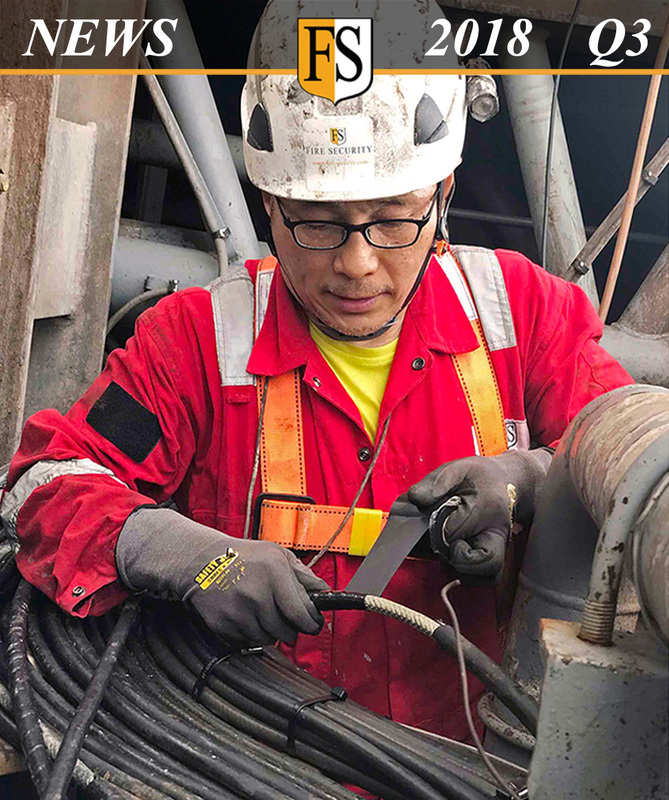 November 21 – Fire Security Asia-Pacific completed the 4th cable repair and life extension of electrical cables at Hanil Cement, South Korea since 2015. 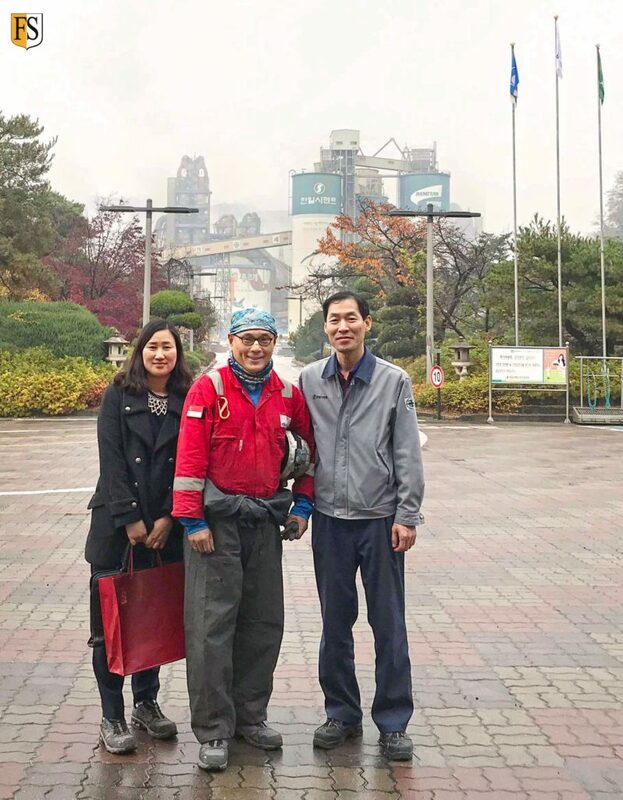 After project close-out, photo together with Ms. Park (left) our local agent, Steven Chong Operation Manager of Fire Security Asia Pacific, and Mr. Choi Electrical Manager of Hanil Cement. Cable life extension project in Indonesia. 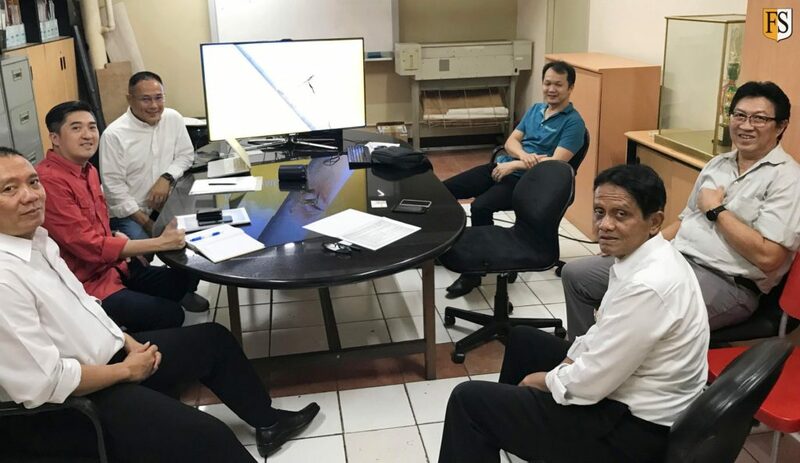 October 15 – Steven Chong (3rd from left), Operation Manager of Fire Security Asia-Pacific, meets Hotel Engineering department to discuss FS’s CABLE LIFE EXTENSION system that offers a very cost effective alternative to cable replacement. Cable survey on LNG carriers in Indonesia. October 5 – Steven Chong, Fire Security Asia-Pacific, completed cable survey on two LNG carriers anchorage in Bontang, East Kalimantan. FS visiting energy companies in Western Australia. 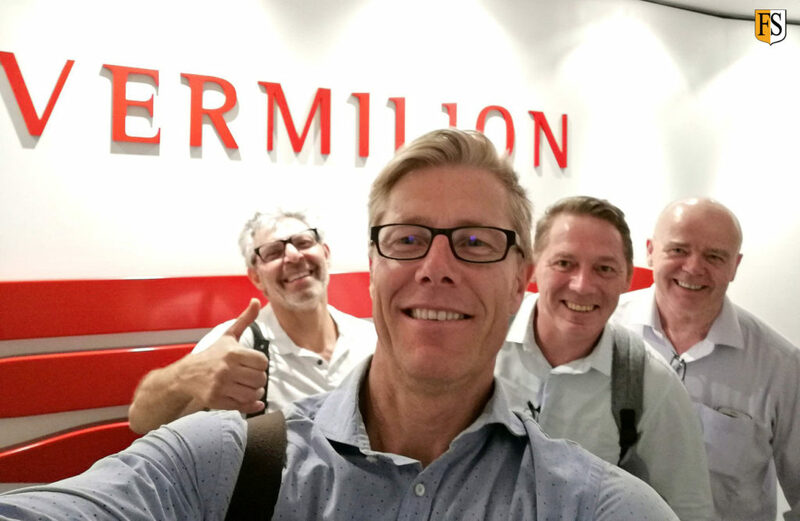 October 31 – Leif Harald Tveitnes and Paal Mathisen with Tore Moe from Norwep and Mark Hanna from our local representative International Corrosion Service. Here meeting with Vermilion Energy. 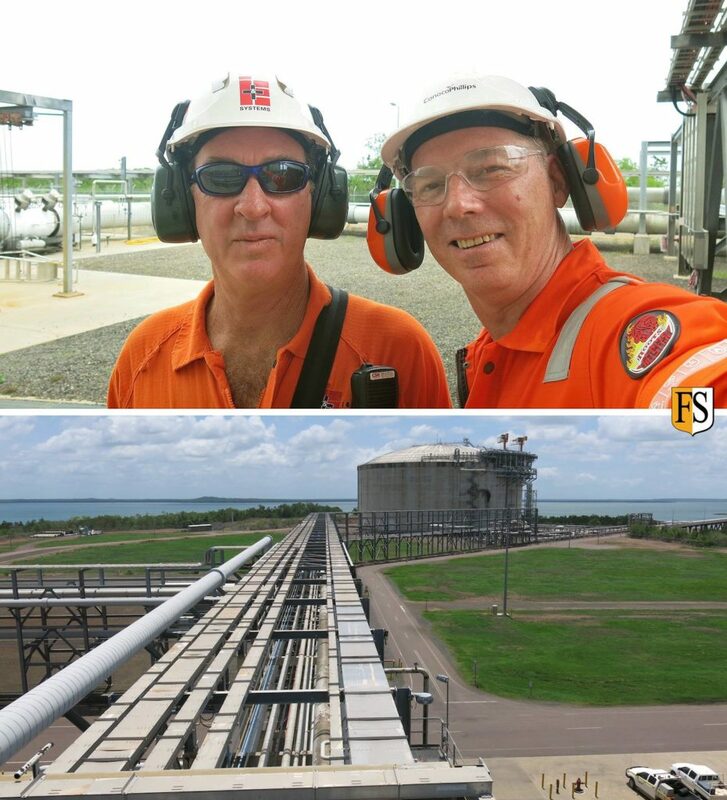 Cable inspection at ConocoPhillips’ LNG plant in Darwin Australia. December 1 – Fire Security was invited to ConocoPhillips’ LNG plant in Darwin Australia last week to inspect the cables condition and evaluate the possibility of extending the life of their existing cables. 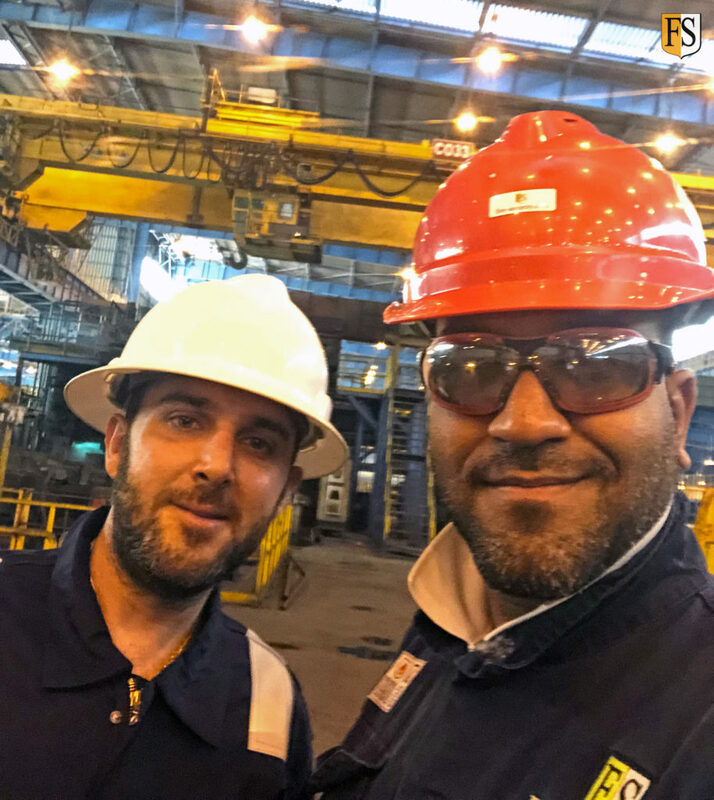 A big thanks to Shane Cavanagh (left) from I&E Systems for guiding me around the plant. Darwin Australia sure is hot and has some of the highest UV levels on the planet. Industrial cables needs protection to cope with this extreme environment and to stay in a safe condition, says Paal Mathisen – Asia-Pacific Manager at Fire Security AS. 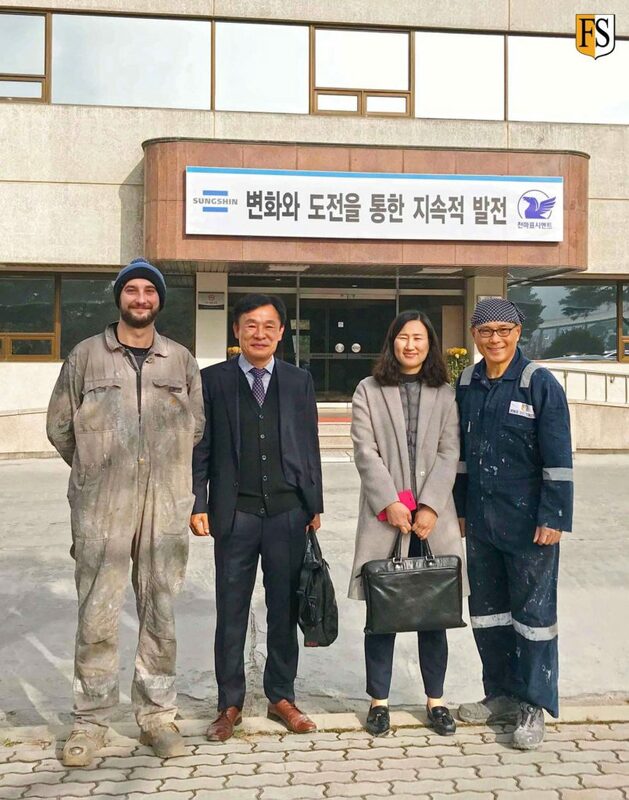 Another successful cable project with our agent in South Korea – Kangnam Drive Co., Ltd.
November 26 – Celebrating the completion of another successful life extension of electrical cable project with our agent in South Korea. Thank you Mr. Jung (2nd from Left) Chairman of Kangnam Drive Co., Ltd and Ms. Park (3rd from Left) for your ongoing support. Specialist applicator Piotr Kanczkowski (left) and Asia Operation Manager Steven Chong (right).